Weruva Caloric Melody Chicken Dinner with Lentils Dry Dog Food lets you take control of your dog’s nutrition with a delicious food that’s filling but gentle on tummies. 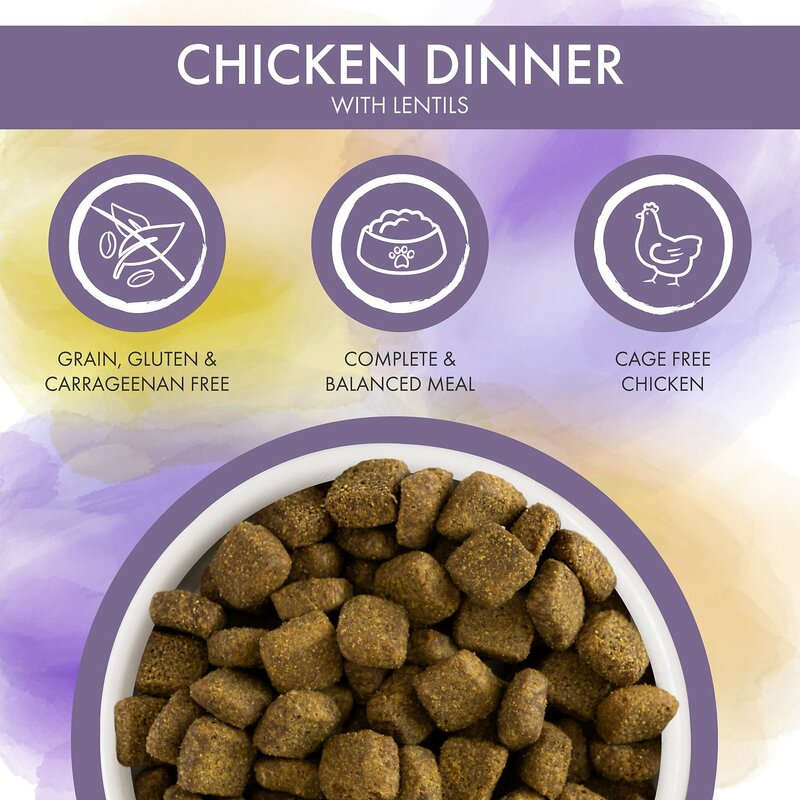 This carnivore friendly formula uses protein as the major calorie source and fuels hungry pups with low glycemic ingredients that will keep them feeling full longer. Cage-free boneless chicken breast will have their mouths watering while the added seaweed and pumpkin promote healthy digestion. 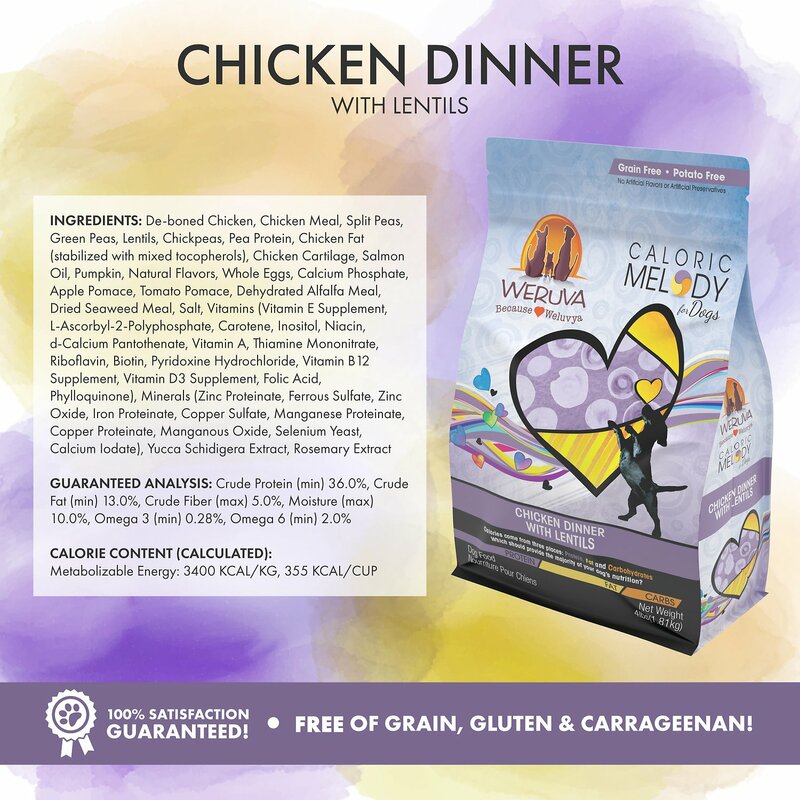 It’s flavorful yet easy to digest, so Caloric Melody is sure to satisfy even the pickiest eater while soothing tender tummies. De-Boned Chicken, Chicken Meal, Split Peas, Green Peas, Lentils, Chickpeas, Pea Protein, Chicken Fat (Stabilized with Mixed Tocopherols), Chicken Cartilage, Salmon Oil, Pumpkin, Natural Flavors, Whole Eggs, Calcium Phosphate, Apple Pomace, Tomato Pomace, Dehydrated Alfalfa Meal, Dried Seaweed Meal, Salt, Vitamins (Vitamin E Supplement, L-Ascorbyl-2-Polyphosphate, Carotene, Inositol, Niacin, D-Calcium Pantothenate, Vitamin A, Thiamine Mononitrate, Riboflavin, Biotin, Pyridoxine Hydrochloride, Vitamin B12 Supplement, Vitamin D3 Supplement, Folic Acid, Phylloquinone), Minerals (Zinc Proteinate, Ferrous Sulfate, Zinc Oxide, Iron Proteinate, Copper Sulfate, Manganese Proteinate, Copper Proteinate, Manganous Oxide, Selenium Yeast, Calcium Iodate), Yucca Schidigera Extract, Rosemary Extract. This formula is designed for Adult maintenance. 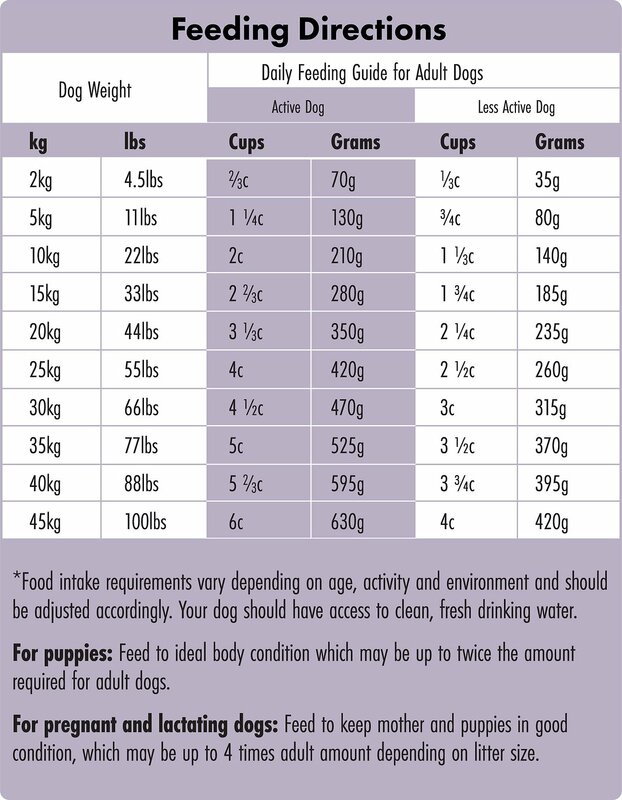 Feed according to the age, size, and activity of your dog. 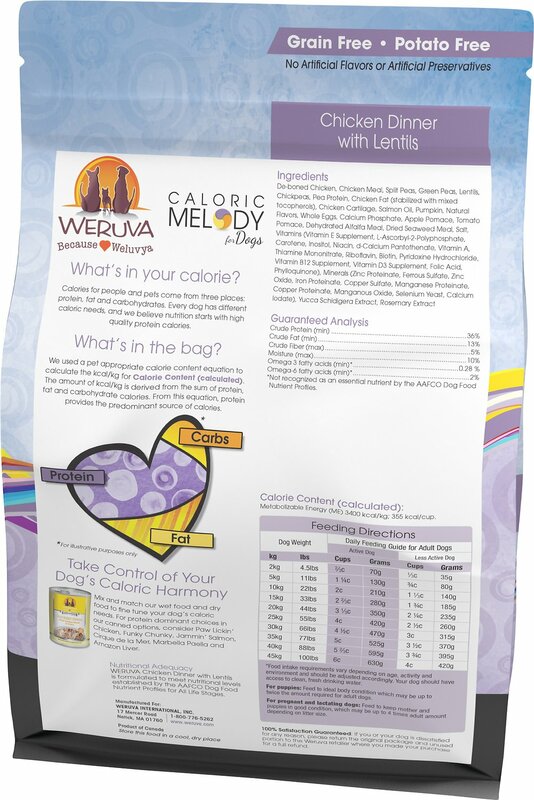 If fed alone, feed Adult dogs 1 oz for each lb of body weight, best fed twice a day. Your dog should have access to clean, fresh water. Bought this for my 9 year old dog that is diabetic and has lost her vision. She also was hit by a car as a stray before I got her. As she was losing her vision and starting to have issues with her hip a local feed store suggested I get her this food. I have to say after about 3 years on this food she seems to have more energy, almost no pain, and overall be a happier, healthier dog. We started giving it to our other dog (50% of her food) that's completely healthy and she has had noticeably more energy since. Just wish they kept selling this in the 24# bag to make it cost effective. 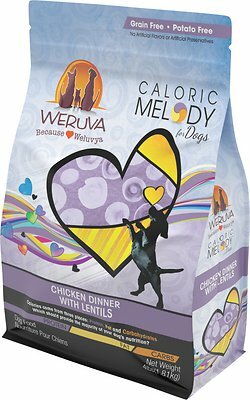 I feel this dog food is nutritionally the best for our dog. He likes the favor. His weight is WNL and all lab work is WNL. 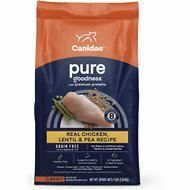 My standard poodle (picky eater) loves this food. Wholesome ingredients means I can feel comfortable feeding this to him. 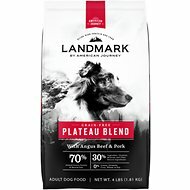 A dogfood that my dogs will actually eat! I have two dogs that hate dogfood. It has been a struggle for many years. I have tried everything and every product! Well, this dog food they actually eat! It is expensive but my search is over. My friend suggested it because she feels it is of such high quality that humans could eat it....I'm not tasting it! But the dogs are happy. Yum! Give me some more! This may be the first ever dog food that my dogs will eat as soon as it's in front of them to the point I now have to ration them instead of free feeding. Both dogs (a maltese and a goldendoodle LOVE it). I was hesitant because the food is processed in Thailand. But after research, I found NONE of the ingredients are sourced from China and Thailand has STRICTER regulations than the US. 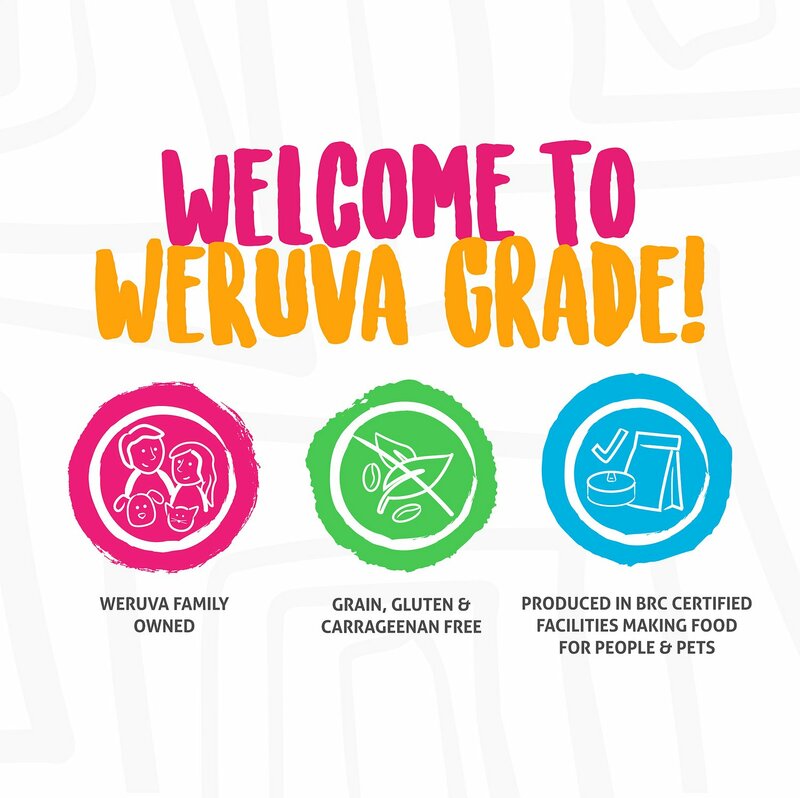 Dog food must pass the same regulations as human food in Thailand. Plus Dog Food Advisor has this listed as a FIVE STAR food. I was previously feeding my dogs Fromm and I liked that it was smaller kibble, but after four years my dogs were like "meh" so I decided to change it up a bit. Finally a dry food to mix with the wet....If I feed my dogs just wet food=runny stools, and if I feed them just dry=too firm stools...just like people. I always do a 50 dry 50 wet mix.